AIHC Executive Director Vickie Lowe. Earlier this year, Insurance Commissioner Mike Kreidler signed a contract with the American Indian Health Commission (AIHC) to support providing Medicare and other related training to tribal staff throughout the state. 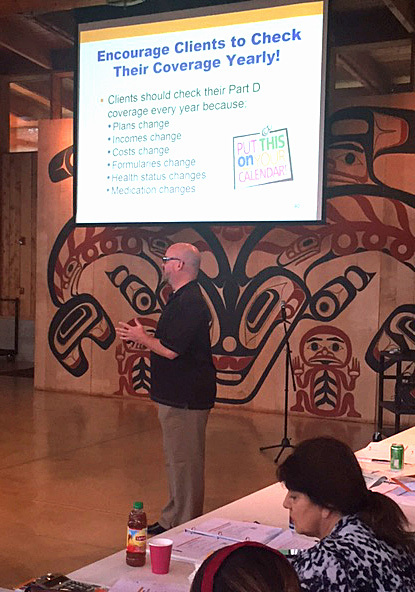 The Commissioner's State Health Insurance Benefits Advisors (SHIBA) held its first quarterly training on Oct. 21 at Port Gamble S’Klallam tribal facilities in Kitsap County to 35 staff from several Western Washington tribes. 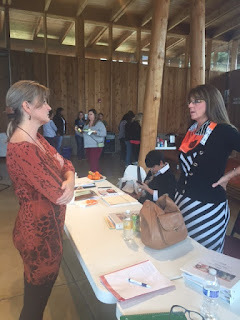 SHIBA will provide training throughout the year to tribes all over the state. Next up is a training in Spokane for tribes in the region. The goal of the training to provide tribal assisters with information about Medicare eligibility, benefits and coordination with Medicaid for tribal elders and tribal members who need health care. 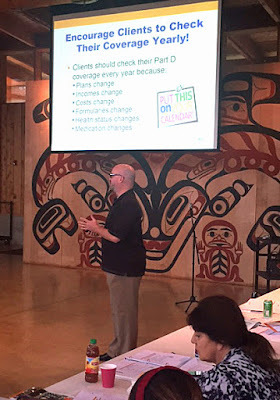 training to tribal staff about Medicare.